London-based spatial data start-up, Pupil, has brought in business heavyweights to help shape its ambitious global plans. The notable business leaders will form a six strong line-up for a new Business Advisory Board to help shape the growing company’s future strategy. Pupil captures and publishes 3D information about real-world interiors and its technology is set to transform the real estate industry. 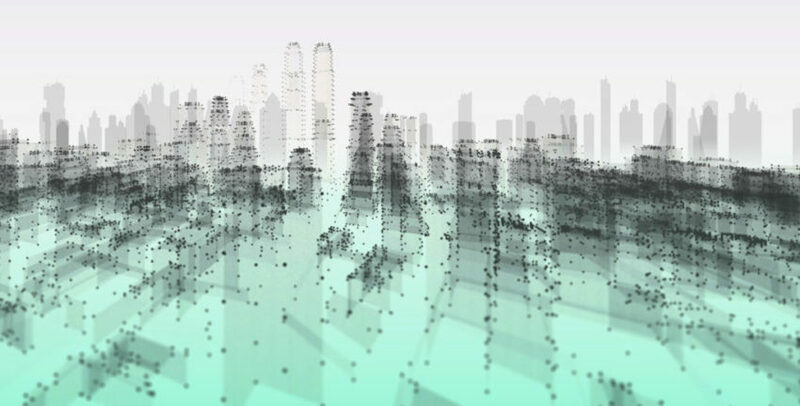 The firm’s technology has already been used to create millimetre-accurate spatial data for residential real estate in London worth over $2 billion – unlocking new insights into the built environment that will revolutionise how real estate is transacted, financed, insured and managed. Partners include Leica Geosystems, The Royal Institution of Chartered Surveyors (RICS), JLL and select global real estate firms. Pupil’s Business Advisory Board will work closely with Pupil to deliver direct benefit to the business in four key areas: contributing to its global growth and funding strategy; adding commercial value to its operations via extensive relationships and networks; the provision of insights and expertise through sector specialisms in technology and property; and engagement with senior Pupil staff and supporting the organisation’s leadership. New York City-based Edgar Bronfman, Jr. is former Chairman and CEO of Warner Music Group and The Seagram Company, Ltd. Mr. Bronfman’s experience building and running multinational and multibillion-dollar conglomerates facilitates his unprecedented access to the American business world of property, technology, and media. Mr. Bronfman maintains a strong profile as a technology investor and sits on the IAC Board of Directors. Anthony Browne is former Chairman and CEO of the British Bankers Association, leading the regulatory reforms of the industry in the wake of the financial crisis. He was previously Head of Regulatory Affairs at Morgan Stanley, Director of the Policy Exchange, economics correspondent of the BBC and the chief political correspondent of The Times. He is currently chairman of the Government’s Regulatory Policy Committee. San Francisco-based Sanjay Jain is former Head of Technology Banking at JPMorgan, having advised on over $200 billion worth of capital-raising and corporate strategic transactions in his 25-year career. He has worked in New York, San Francisco, and London for the firm. Sanjay is currently Chief Strategy Officer at Hyperloop Transportation Technologies. Jambu Palanappian, one of Uber’s first employees in San Francisco before becoming Head of UberEats EMEA, successfully scaled both Uber and UberEats to over 300 cities globally and is considered one of the tech world’s experts in global expansion. Steve Sacks is former Chief Customer Officer at Burberry, Director of Customer Strategy and Insight at Lloyds Bank, and partner at McKinsey & Company. He is a global expert in service design and the use of data and analytics and helped build Burberry into one of the most respected global brands. Lord St John Of Bletso is a cross bench Member of the House of Lords, and served on the Communications Select Committee and, more recently, the Ad Hoc Select Committee on Artificial Intelligence. He is Chairman and Director of several public and private companies, spanning financial services, technology, property, and biotech. Lord St John is extra Lord-in-Waiting to HM The Queen.